SERVICE IS NOT ONLY IN OUR NAME….IT’S WHAT WE STAND FOR!! 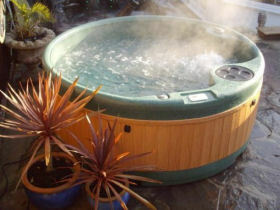 Since 1979, California Spa Service has been providing quality products and professional spa service to homeowners in the San Francisco and Greater East Bay Area. We take great pride in providing you with the best service available anywhere!! 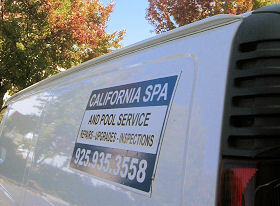 For more information on the products and services California Spa Service provides, please visit Products and Services. When you have us Repair your Spa or do a Drain and Clean Service, we believe that you deserve the BEST possible SERVICE for your money. Whether it’s a simple repair, or a complete rennovation, we pride ourselves on the CARE we give to each and everyone of our customers.